Formerly Citizens Bank of DeGraff founded in 1885, the bank has served the banking needs of Logan County for over 129 years and is a longtime Logan County Chamber Member. The Buckeye State Bank continues to offer reliable deposit products and loans for every need including automobile, new homes, small business and agricultural. On January 3, 2014, Buckeye Nation Interim, a company formed by a diverse team of local business leaders, purchased the bank and in September 2014, the bank name was changed to Buckeye State Bank. The name change publicly reflects the beginning of a new chapter, offering clients in all of Ohio the “big bank” products and services with local decision-making and exceptional service. Today as Buckeye State Bank, they continue to deliver modern bank products with personal high touch service. In todays’ busy times, people do not want to plan their day around going to the bank. Today’s consumers are internet savvy and want the convenience of checking their bank balances on the fly and performing transactions as quickly and effectively as possible. Responding and reacting to these changes, their clients can now bank anywhere they are. Buckeye State Bank offers a virtual banking model that allows clients the convenience to open accounts online at www.joinbsb.com or deposit checks with their mobile phone using their mobile app, and we all use our phones for every-thing! Another great marketing piece the bank offers is their BAM Account. You can be a Buckeye Advantage Member by opening a Buckeye Advantage checking account and earn up to 1.50% APY and have free ATM use anywhere. Stop in and ask them how to qualify. At Buckeye State Bank they know life is busy and they want to make banking less stressful. 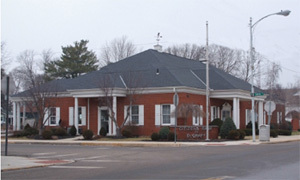 With the third oldest charter in the state of Ohio, Buckeye State Bank remains owned and operated here in Logan County and continues to offer large bank products and services with local roots. Shawn Keller is the President, CEO and Director of Buckeye State Bank and brings over 19 years of banking experience and a focus on serving small businesses and consumers. Shawn is joined by Phil Kinley who serves as the Executive Vice President and Chief Financial Officer. 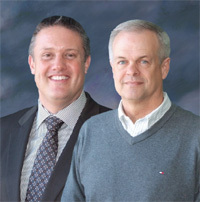 Through his 23 years of banking experience Phil is focused on continuing to improve their clients’ banking experi-ence. The bank strives to reflect the pride, honesty and hard work ethics Buckeyes are known for. As a Logan County Chamber member, bring in this newsletter to receive a 0.25% discount off a loan or receive cash management fees waived for one year! At Buckeye State Bank, they believe the value of being a Chamber member is in networking with their fellow businesses. In doing so, this helps create a win-win environment as they help our community grow together. The Logan County Chamber of Commerce would like to congratulate the Buckeye State Bank (formerly Citizens Federal of DeGraff) for their years of dedication to Logan County.